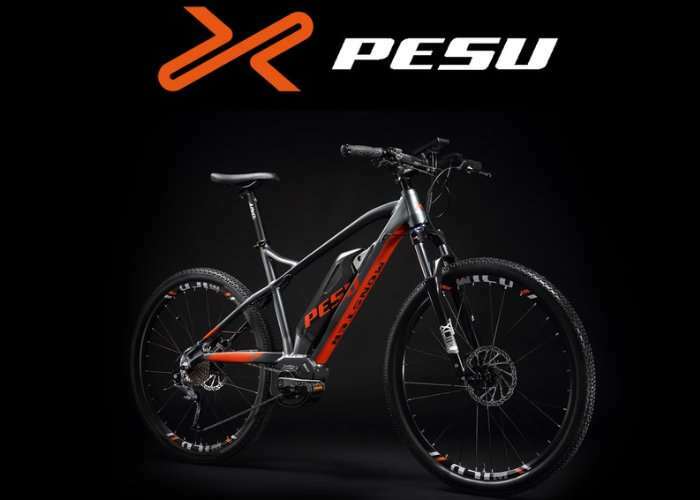 Bike manufacturers PESU based in Austin Texas, have created a new electric mountain bike which they say is the world’s fastest. Check out the demonstration video below to learn more about the features and construction of the PESU. The electric mountain bike has this week launched by Kickstarter with the aim of raising $100,000 over the next 30 or so days. The PESU This fitted with a 350w motor capable of providing a top speed of up to 28 mph or 45 km an hour. Off-road adventure made fun and accessible. With PESU you’ll find that extra power to go even further. Go beyond the end of the trail and explore a new path. Finally, a true, no-compromise, electric powered mountain bike that is unbelievably fun and undeniably practical. Electric bikes expand your boundaries. Do more and see more. Incredibly fun, unquestionably practical. With extra power and pedal assistance, every ride will be pure joy. Our mission is to make an e-bike that is truly fun. One that will enhance your riding experience and help you expand your boundaries, to go further, while not making your legs sore next day. We want to create an e-bike that inspires you to explore further, go off the beaten path and most importantly — keep moving forward. In order to do that we had to push boundaries and look beyond the standard procedure. The PESU Team will be exhibiting at two of the world’s largest bike exhibitions, the Eurobike and Interbike. Learn more about our e-bikes and other products there — you’ll get to try them too! PESU is now available to back via Kickstarter with early bird pledges starting from $1,499 and delivery expected to take place during November 2017. For full specifications and more information jump over to the official Kickstarter campaign page via the link below.